Does your workplace encourage strong learning culture for employees? 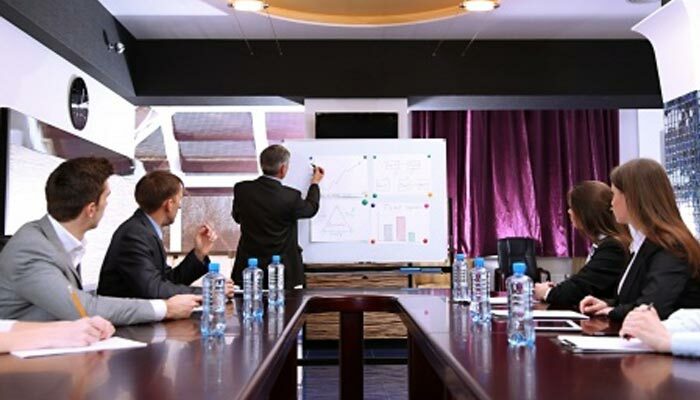 Does your company promote employee training and development programs? If not, read further to know what they have been missing so far! Employee training and development is the strongest pillar that establishes high performance, optimum results and company success. Millions of organizations across the world spend a large part of their total business capital to improve employee skills and performance. The training programs also serve as catalyst to build confidence in employees to face bigger challenges in their careers. Implementing a configurable employee training management software is a necessity to drive effectiveness. Employees are the most valuable asset for an employer. But as a result of these inadequacies, many organizations are unable to implement best business practices and often end up receiving low profitability. Developing a strong learning culture at work is really important. With the advent of HR technology, it has become easier to adapt learning and sharing professional knowledge with the employees. Learning culture in an organization encourages employees to share their ideas openly and collaborate effectively with other team members. Since a company’s performance is completely dependent on the individual performance of the employees, organization should plan and implement effective employee training programs to help employee reach the highest performance edge. Here are few employee training benefits that an organization can achieve adhering to professional training management programs. Every individual comes with different set of skills; and helping them enhance those skills is the best thing an employer can do. Before subjecting employees to a particular training program, HR person and manager should evaluate training needs for each individual employee. To begin with, training coordinators can divide employees into different groups and each group should be associated with a targeted development plan. Professional training and development helps employees to overcome their weaknesses and shortcomings. Employee development programs give them the opportunities to reach higher levels of expertise and gain more exposure to improve their professional skills. A well-trained employee knows how to make best use of available resources. He/ She has the capability to maximize performance with the help of accessible resources. No qualm, training boosts employee efficiency and helps in presenting high quality output. An ambitious professional must understand the significance of developing skills throughout the career. No one can deny the fact that constant growth is a result of continual efforts to develop professional skills and knowledge. Consistent employee training and development programs allow employees to steadily upgrade their skills and competencies. It also helps them to stay aware of all the latest business technology or skills needed to defeat their competitors. Employer’s continued investment in training programs show that employees are valued. Having a learning work culture keeps the workforce motivated. In fact, it increases job satisfaction and reduces employee turnover rate in an organization. All businesses are competing hard to attract top talent. Learning and training opportunities give employees a sense of confidence to do better. It is evident that talented professionals are always looking for companies where they can learn and grow. Having excellent training management plans in place can help an organization attract top talent. Don’t you think these training management benefits are something an organization can’t afford to miss? Are you facing staff retention problem at your workplace? Make sure you implement an effective employee training and development program to boost employee morale and performance. Take help of an integrated, configurable employee training management software to reach your aim. Good luck!